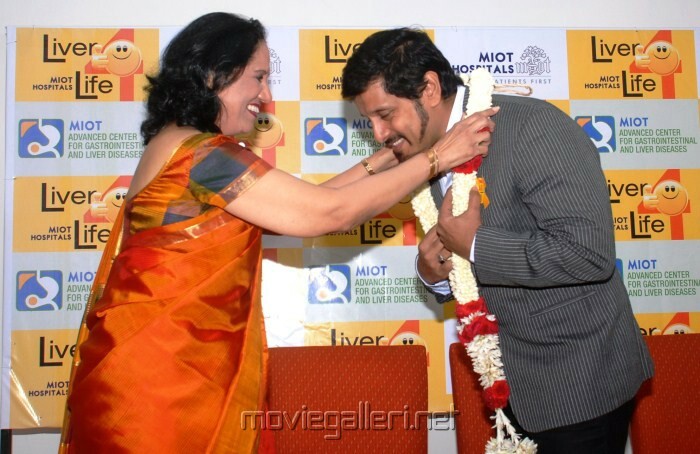 Tamil Actor Chiyaan Vikram appointed as Brand Ambassador of Hepatitis Awareness Program. World Hepatitis Day ‘B Hepatitis B Free’ campaign and Yellow Ribbon program ‘Liver for Life’ campaign launched by Vikram. The campaign is organised by MIOT Hospital in association with the World Health Organization (WHO). On this day, Hepatitis B screening followed by the first vaccination dose will be carried out free of cost. MIOT Hospital Chairman Mallika Mohandas, P.V.A. Mohandas, founder and managing director of the hospital and George M Chandy, director, Department of Medical Gastroenterology and Hepatology, Doctors Arul Prakash, Dinesh Jyotimani, George M Chandy, Manoj Kumar Sahu, Paul Robin, V Perumal graced the event. Vikram at B Poddu.